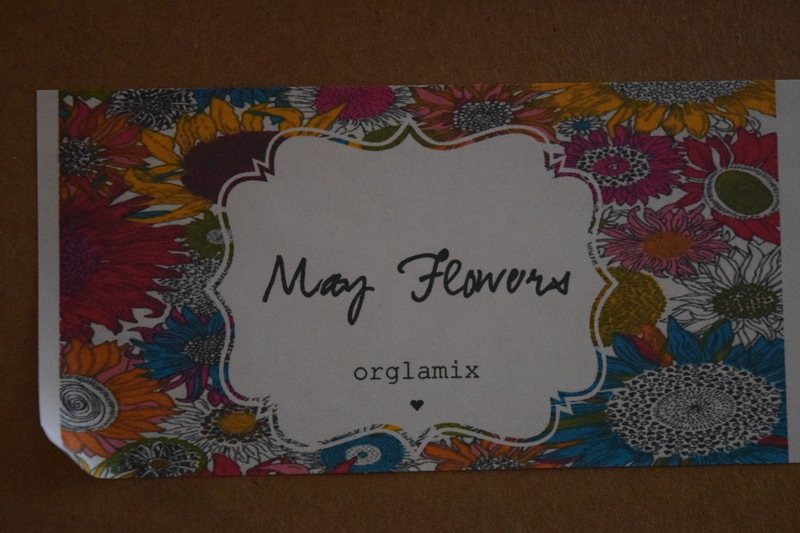 Orglamix Glam Box: May 2016 – Coupon Code & Giveaway! UPDATE – There was a little confusion on the prices listed on the cards, so I’ve updated my review to correct them! UPDATE 2 – CONTEST IS NOW CLOSED! Today I’ve not only got a review of the fabulous vegan, cruelty free, Orglamix Glam Box but an awesome giveaway where you could win your very own May box. (To save 25% on your first box, use coupon code VEGAN.) Jump down below for all the juicy details. You know I get a lot of sub boxes, and I’ve never received anything like this. Not only can you use essential oils on the little pad, but I tried it with my favorite perfume and it worked just as well. This is a fabulous alternative for folks with sensitive skin that loves scents – you can wear a perfume or an oil and not actually have it touch your skin. 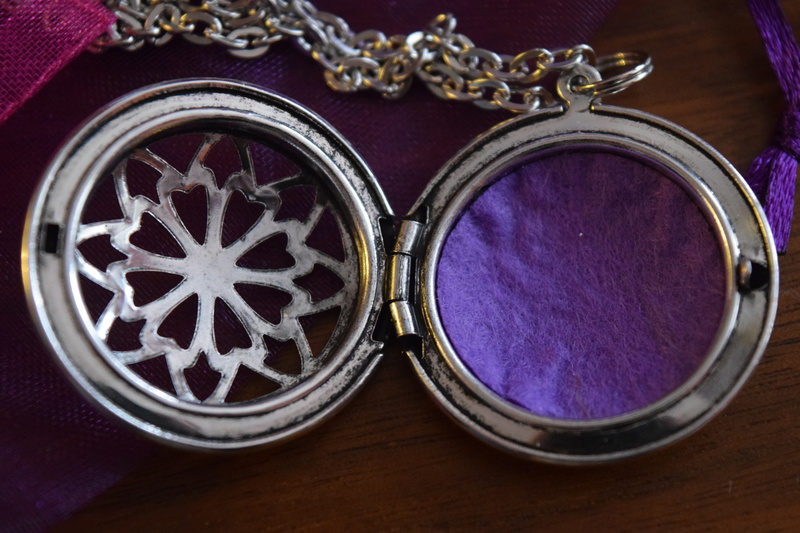 You can also customize the color that peeks through the necklace by adding your own felt pad. As for the oil included, it didn’t give me a headache (which is a miracle) and I found it quite pleasant. Normally I’m not a fan of Ylang Ylang, but it’s balanced out by the orange. Peels scare me a bit and I always feel better trying them when it’s a natural product. This states it’s not for sensitive skin but I have successfully used glycolic peels before so I do plan to try it out. The pamphlet comes with detailed instructions. The only reason I’m giving this a “like” instead of a “hit” is because folks with more sensitive skin wouldn’t be able to use this and could miss out on one item in their box. These colors all work together and definitely fit the Flowers theme. I love the Peony shade. It blends in well with my skintone and works so well layered with tons of different eyeshadow colors. 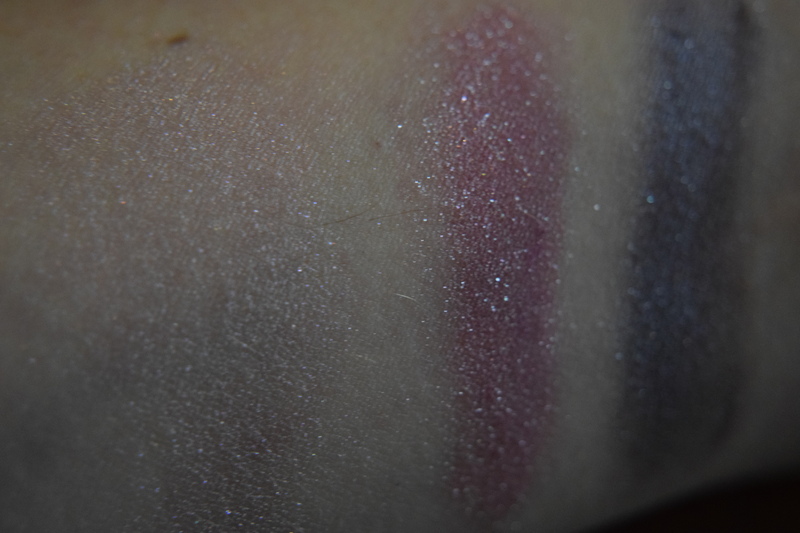 The other two shades are really lovely and I definitely need to experiment with the Violet. With my pale skin and blue undertones, purple can sometimes make me look like I was punched in the face, so I need to tread carefully. The color is amazing though and I think it would be gorgeous on folks with darker skin. This is my absolute favorite item in the box. The rose scent is natural and light. The butter balm is super hydrating, but not greasy and heavy like balms can sometimes be. This is perfect for getting your feet ready for sandal weather. The products in this box all felt perfect for Spring. The scents were natural, light and appealing, the colors were lovely and there was a great variety including the unusual necklace. This was definitely a well curated box, and I think most subscribers would love it. I couldn’t find any of these items on the Orglamix site yet so subscribers are also getting access to exclusive shades and products. I received this box for free, but the regular month-to-month price is $29.00 and I thought that was an incredible value. The estimated retail value (based on the included card) came out to $101.00. Natural, vegan beauty products can be pricey so the value you are getting is awesome, and that’s before you factor in the creativity and exclusive items, so $29 seems like a really great deal. Our lovely winner..drumroll please…is.. Melissa B! Thank you to everyone who participated and be sure to check back for more fun giveaways and awesome coupon codes! 2. Just leave a comment on this blog between today and midnight (EST) June 13th. I’ll select a winner at random and once I’ve confirmed their mailing address, I’ll announce it. Good luck! To keep up with all my Reviews, Spoilers & Giveaways consider following Subscription Therapy on Twitter and Pinterest. And if you’re as intrigued by Orglamix as I am, you can keep up with all their vegan beautifulness on Facebook and Twitter. Orglamix delivers healthy beauty delivered to your door every month. Healthy, natural beauty, doesn’t have to be boring! When you sign up for Orglamix, every month you will receive a 4-6 expertly curated, healthy beauty products, non-toxic cosmetics, natural & sustainable, cruelty-free goods + a $10.00 Gift Card to orglamix.com. For every box sold, we donate a meal to orphaned children in need. Each Month comes with a $10 gift card for the Orlgmaix.com site. They are really lovely! And your most welcome! Good Luck! The eyeshadows are so pretty! Good luck in the giveaway! Awesome box! The diffuser necklace is something I need to get! The necklace is really cool! Good luck in the Giveaway! It’s even prettier in person! Good luck in the giveaway! Ohhh I’ve been wanting one of those diffuser necklaces. I’ve fallen down the essential oil hole and want to wear them more! The necklace is actually in the box! The winner gets everything they see in this review! I love that essential oils don’t give me headaches the way so many perfumes do. They really are lovely. Good luck in the Giveaway! I’d love to win this for my gf! She would love all the stuff here, especially the fresh rose butter balm! The Rose butter balm is amazing. I’m sure she’d love it. Good luck! Want it all!!! So cool and natural! It’s always great to find beautiful makeup that’s natural. Good luck in the giveaway! That rose balm sounds lovely! Kind of like the By Terry version, but for a whole lot less. I have a By Terry lip balm and it does smell a lot like that. Good luck in the giveaway! 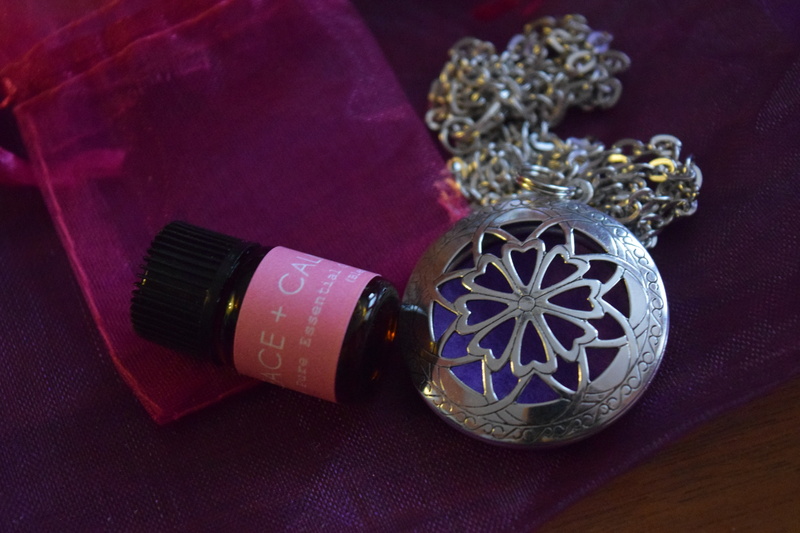 That necklace is beautiful and what a wonderful way to wear a scent that takes into account skin sensitivities! It’s really lovely and so creative. Good luck in the giveaway! Beautiful necklace!! It’s great to see unique items in subscription boxes, instead of the same old things. Part of me wants to thank you for introducing me to a new subscription box……but then there’s the other part of me that’s counting how many I already subscribe to…lol!! Sub boxes can turn into quite an addiction. It’s really hard not to go crazy and subscribe to all of them. Good luck in the giveaway! 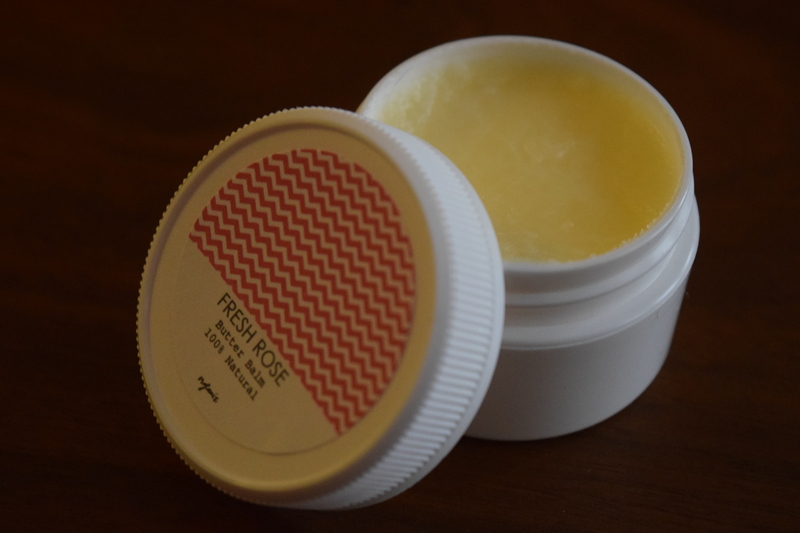 I would not mind trying the fresh rose butter balm. The balm is wonderful. Good luck in the giveaway! Love the necklace! I will have to look into this! It’s very pretty and a lot of fun! Good luck in the giveaway! I love the eyeshadow colors and I’ve never heard of a diffuser necklace, but would love to learn more about and own one. I thought the necklace was super unique! Good luck in the giveaway! Orglamix has so much fun makeup! Good luck in the giveaway! Very cool subscription box! That’s neat that there is a necklace that is also an aromatherapy diffuser. The necklace is really cool and very pretty to luck at. Good luck in the Giveaway! I remember seeing Orglamix years ago when they first started out and I still haven’t tried them! I’ve always loved their eyeshadows. This box sounds so amazing! 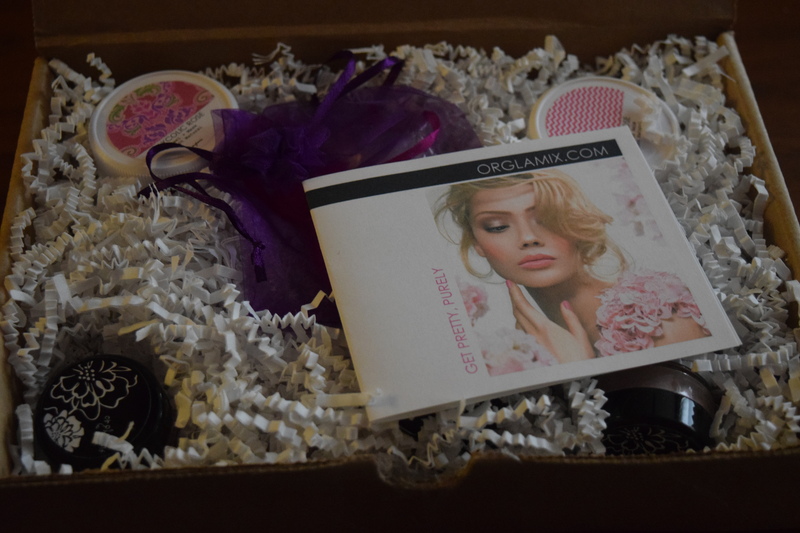 It’s such a lovely box and Orglamix’s makeup is so much fun! Good luck in the Giveaway! 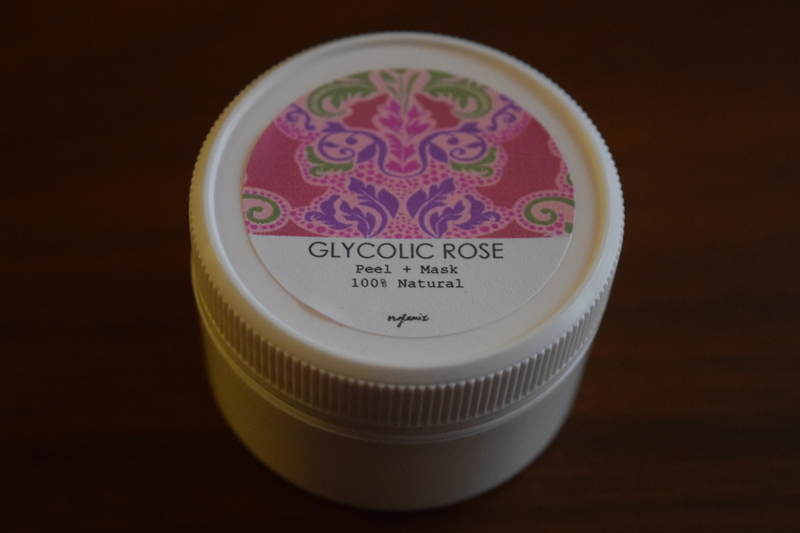 The Glycolic Rose Peel + Mask sounds like a product that my skin needs! I’m excited to try it out! Good luck in the giveaway! 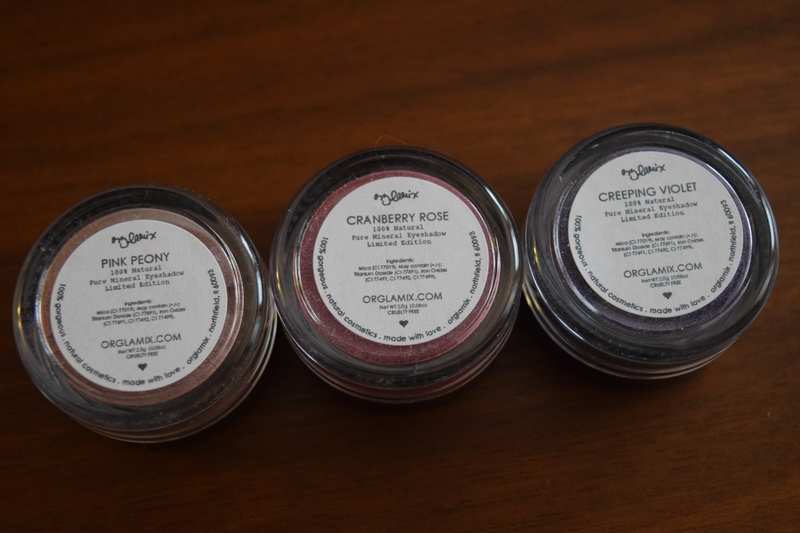 The Rose Butter Balm sounds great, and I really do like those eyeshadow shades! Thanks for the opportunity! The balm really is lovely. The shadows are really some very sweet colors. Good luck in the giveaway! I love those eye colors! Thank you so much for the coupon and chance to win, I can’t wait to check out Orglamix for myself! The colors are you beautiful. You are most welcome and good luck in the giveaway! I’m intrigued by the necklace and butter balm. The shadows also look interesting. The peony looks like a nice highlight and the darker colors look versatile. The butter balm is so lovely and the necklace is a lot of fun. Thanks for entering and good luck!